At Best Home & Property Services, we provide a variety of repair products and techniques -- each designed specifically to take on a different source of leaks in their foundation walls and basement's concrete floors. These pipe penetrations and gaps around basement windows are also susceptible to leaking. If you start to notice any water in your basement, give us a call! 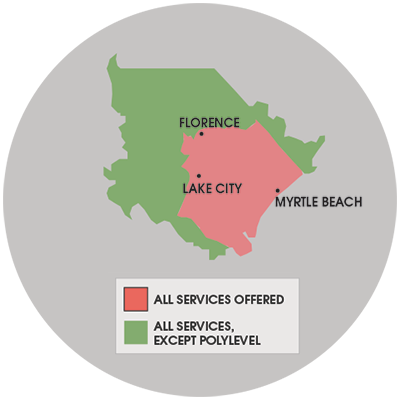 We service North Carolina & South Carolina, including Camden, Florence, Gaddysville, Loris, Marion, Myrtle Beach, Rembert, St. Matthews, Sumter, Tradesville, Trio and nearby areas. Contact us today for a free wall crack repair quote!